Learn About Life Science: Origins & Scientific Theory with a creation-based Christian perspective. Study the differences between secular and creationist worldviews in evolutionary theory. Watch interviews and discussions with both Christian and secular scientists—See how Darwin’s theory of evolution holds up. Allow your student to form his or her own understanding of this issue—given information about evolution and creation. Learn about living fossils—that challenge the core concepts of evolution. Earn one science credit—after completing this one-year course—while studying biology, paleontology, and geology. Add science labs to the course at your option. 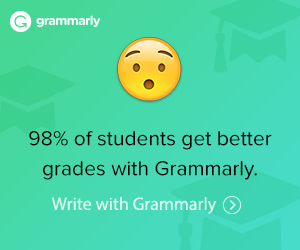 Use for homeschool, co-ops, and classrooms. 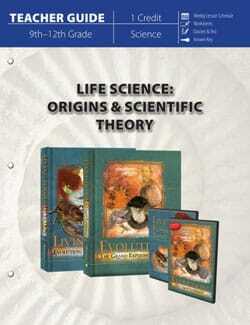 The Life Science: Origins & Scientific Theory Course Package includes one of each of the following items. 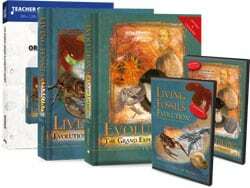 With the Teacher Guide for Life Science: Origins & Scientific Theory, you will use books and DVDs for Evolution The Grand Experiment and Living Fossils to teach a one-year biology course for 1 credit. Evolution: The Grand Experiment critically examines the viability of Darwin’s theory of evolution. Separate the science from the myth. 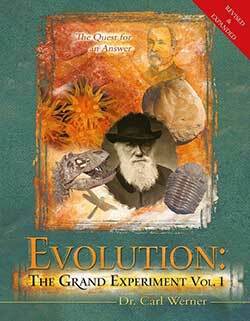 Evolution: The Grand Experiment DVD Episode One: The Quest for an Answer coincides with the book. Filmed over a 12 year period in 3 continents and 7 countries. Has highlights from 12 dig sites, sixty museums, and many universities. Documents many misleading museum displays, science magazine articles and television documentaries. Includes an interview with author Dr. Carl Werner and a discussion on flying reptiles (Pterosaurs). 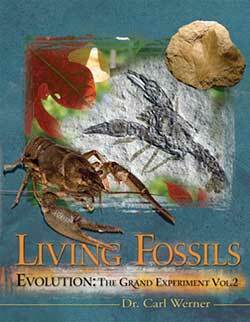 Living Fossils: Evolution: The Grand Experiment Volume Two challenges the core concepts of evolutions. Learn about Living Fossils—organisms preserved in the fossil record that still live in similar form today. Discuss questions about the living fossils and conflicts with the theory of evolution. View over 700 color images in this book. The Living Fossils DVD Episode Two coincides with the book. Contains underwater footage of Dr. Werner diving at the Great Barrier Reef in Australia and the coral reef in the Caribbean Sea. Has footage of dinosaur dig sites in Europe and North America. Studies the question of dinosaurs and the story of creation—Did dinosaurs live with modern plants and animals thousands of years ago? Questions the fossil displays at natural history nuesums—Do they withhold fossils that would place the theory of evolution in jeopardy?